This is for anyone that just loves the reclaimed, retro and industrial look. 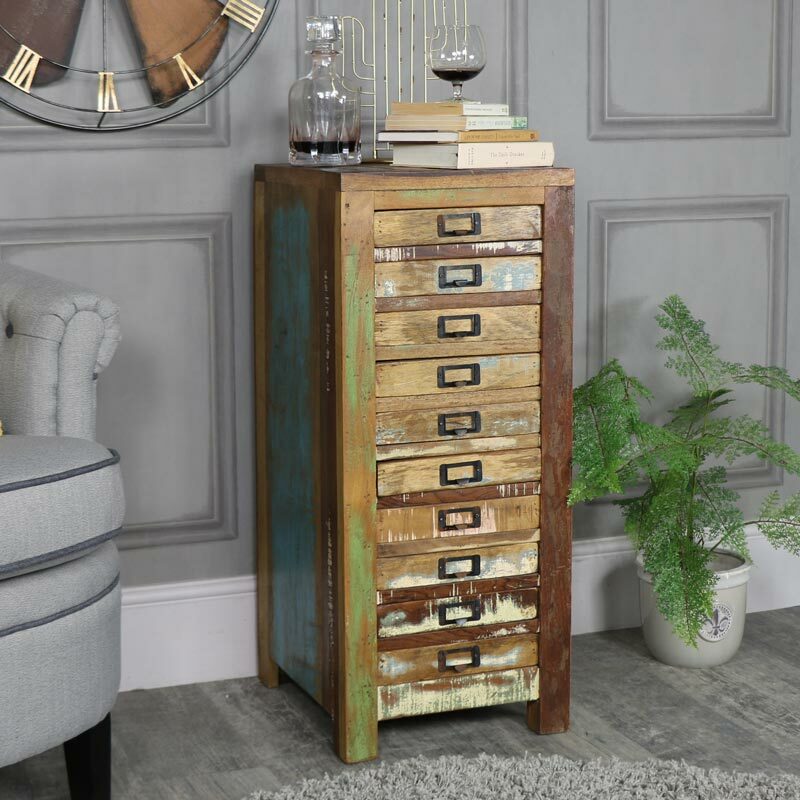 A fabulous chest of drawers with 10 drawers that offers a great storage solution for papers and books and any little knick-knacks. Sturdy and robust design that will stand the test of time. A great piece of furniture for the bedroom, office or living room. Ten drawers for storage, each with a label holder on the front. The top features a slatted top that adds to the rustic appeal. Each piece will be slightly different to the next due to the reclaimed design of the chest. This is for anyone that just loves the reclaimed, retro and industrial look. 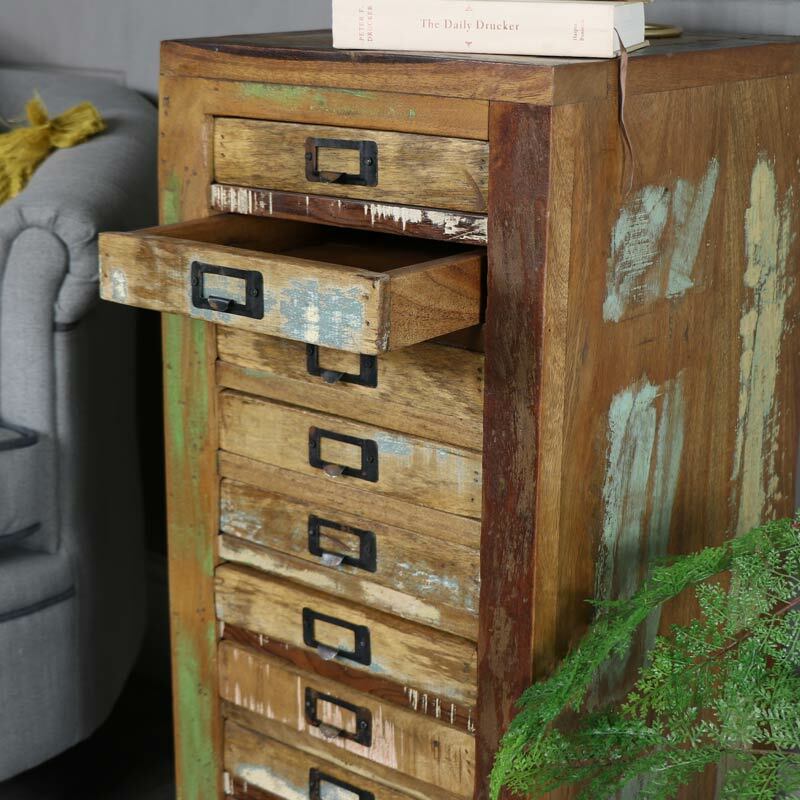 A fabulous chest of drawers with 10 drawers that offers a great storage solution for papers and books and any little knick-knacks. Sturdy and robust design that will stand the test of time. A great piece of furniture for the bedroom, office or living room. Ten drawers for storage, each with a label holder on the front. 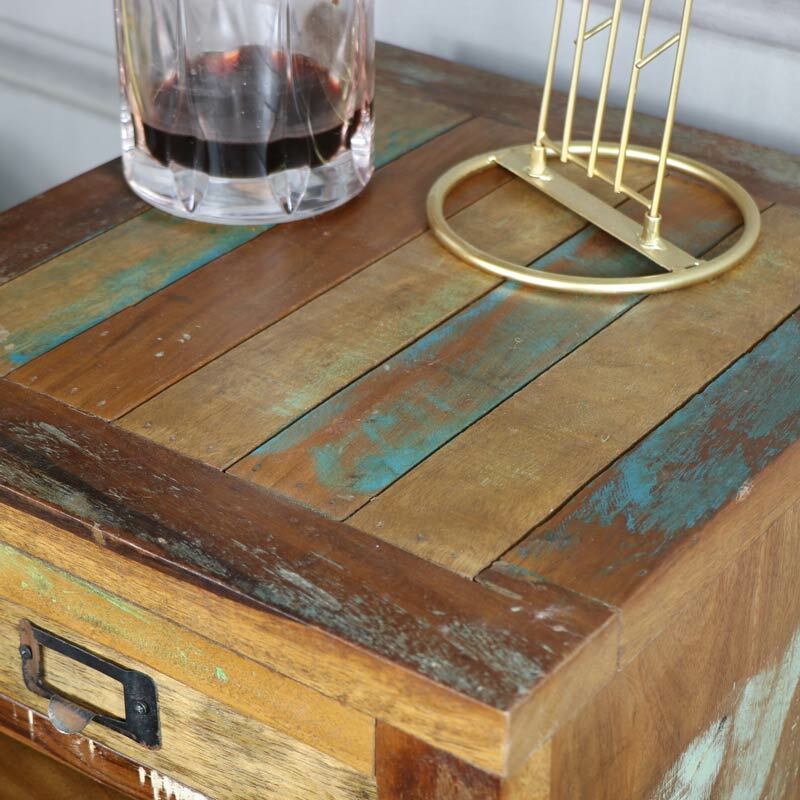 The top features a slatted top that adds to the rustic appeal. Each piece will be slightly different to the next due to the reclaimed design of the chest. 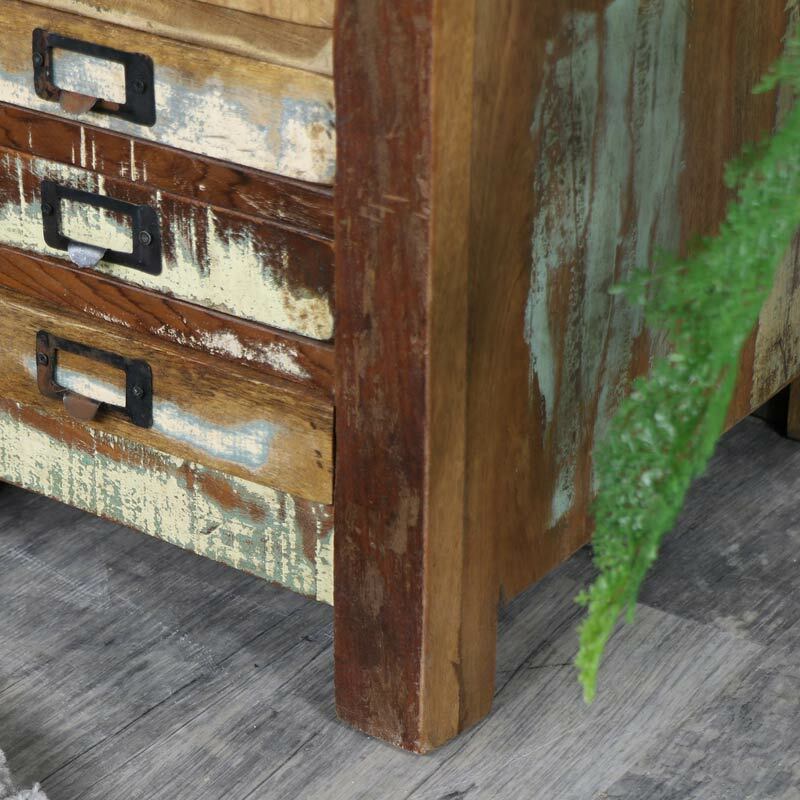 Made from reclaimed wood in a heavily distressed, weathered look. The chest of drawers comes fully assembled. 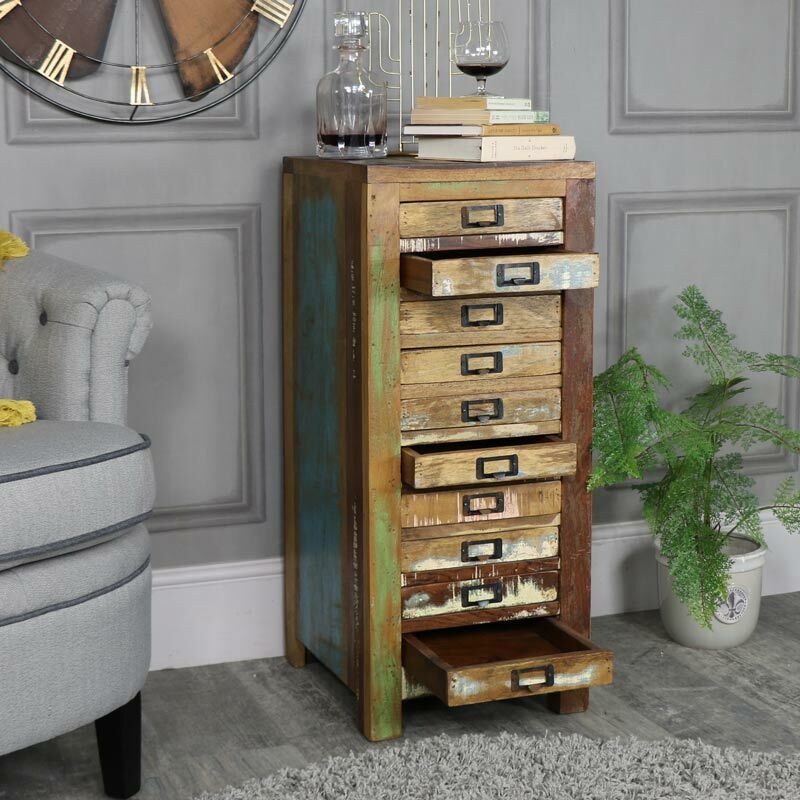 Boasting a superb range of rustic, industrial and retro furniture, we have something to suit your choice of decor to make your home unique and wonderfully stylish. Due to the reclaimed nature of the chest, the colours may vary slightly. The wood is in a natural colour with a stripped paint distressing. We do have a 3 drawer bedside chest (MM26987) that matches very closely with this piece. Delivery is with our specialist furniture courier and takes 2-12 working days for delivery, we do offer a quicker service at an additional cost, please contact us for more details.